As Bali’s original sunset destination, Ku De Ta is a restaurant, bar and beach lounge set to an eclectic soulful soundtrack with panoramic views across the Indian Ocean. Open from 8am until late, they serve a variety of dining options from informal grazing to relaxed fine-dining throughout their open plan venue. 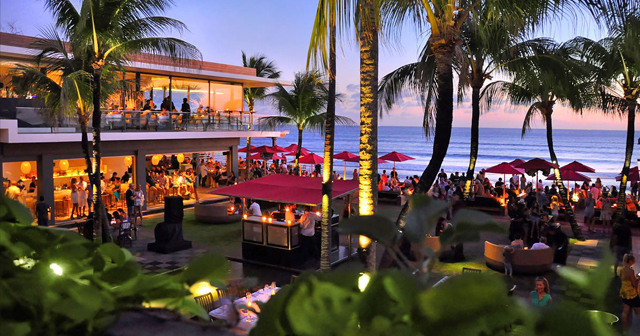 Ku De Ta is THE place to go in Bali to watch the beautiful sunsets. 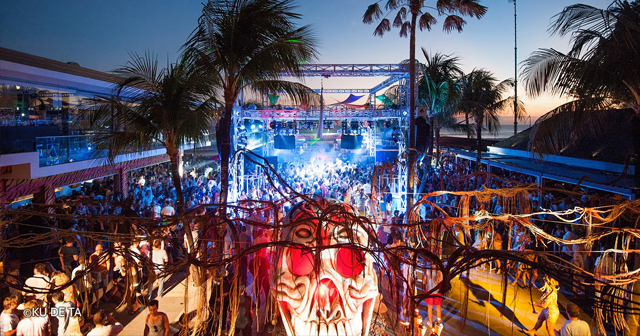 Ku De Ta is a day club and nightclub depending on when you are there. Make sure to order some food off the menu, Ku De Ta is known for its amazing food. Where is Ku De Ta located? Ku De Ta is located on the southern peninsula of Bali on the west coast. 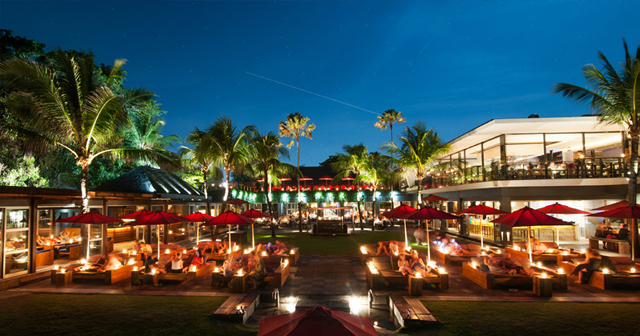 It is in a prime location on the ocean in Seminyak. How much is cover charge at Ku De Ta? Ku De Ta usually does not have a cover charge. How long will I have to wait at Ku De Ta? When is Ku De Ta open? Ku De Ta is open daily. What are the best nights to go to Ku De Ta? What is the dress code at Ku De Ta? Ku De Ta has a pretty casual dress code. We strongly recommend wearing or bringing swimwear to enjoy the day club and pool parts of Ku De Ta. How much do drinks cost at Ku De Ta? Expect to pay 15-20 USD for cocktails. What kind of music do they play at Ku De Ta? Ku De Ta features a mix of top 40/pop music and EDM. Where can I find a list of upcoming events / DJs at Ku De Ta? You can download the Discotech app to see upcoming events, and book tables for Ku De Ta.